George Augustus Frederick FitzClarence (1794–1842), the 1st Earl of Munster, was the eldest illegitimate son of the Duke of Clarence (later King William IV) and his mistress, the actress Dorothy (Dora) Jordan. Born in London, he sailed for the Iberian Peninsula to take part in the Peninsular War in 1807, aged just fourteen. Being immersed in an environment of warfare from his early teens may explain FitzClarence’s later research and collecting habits, and perhaps even his untimely death. FitzClarence served in various campaigns on the continent and, although wounded twice, distinguished himself and received several promotions throughout this military career. Despite being dismissed from his regiment in 1814, he eventually retired a Major-General in 1841. He documented his return journey overland from India to England in a detailed journal, subsequently published as Journal of a Route Across India. This marked a recognisable beginning of FitzClarence’s scholarly interests. He became a Fellow of the Royal Society, was a founder member of the Royal Asiatic Society and started conducting his own research in the early 1820s. 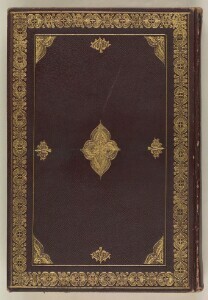 FitzClarence’s personal interest in the history of the art of war, about which he eventually wrote a book, led him to amass a vast collection of material in his later years including the Arabic manuscript entitled ‘The Book of War Machines, the Opening of Mines and Preservation of Roads’ (Kitāb al-ḥiyal fī al-ḥurūb wa-fatḥ al-madāʾin wa-ḥifẓ al-durūb) – now part of the collection at the British Library. The author of the manuscript claims that his Arabic text was translated from a Greek manuscript found in the tomb of Alexander the Great. This was a common attribution with such works, and lent them legitimacy. In fact, the author is thought to be the Mamluk General and tactician Muḥammad Ibn Mankalī or Ibn Manjlī (fl. AD 1362–76). Its previous owners, identified by inscriptions on the title page, include Muḥammad ibn Nūr al-Dīn al-Minūfī al-Ḥanafī, who inscribed his name in 1039 AH/AD 1629–30) and the inscription and seal of Abū al-Wafā’ al-Shaykh Sulaymān Aulīyā Zādah. FitzClarence, however, did not inscribe his name on the title page, as some previous owners had; instead, we know that it belonged to him only due to a small entry in the British Library’s Register of Additional Manuscripts. In it, we discover that the manuscript was purchased from the ‘sale of the E[arl] of Munster’ on 6 April 1843, a year after his death. But how did the manuscript make its way into the Library’s Collection? FitzClarence was resentful of his position as the king’s recognised, though illegitimate, eldest child. He wore his grievance heavily and frequently harangued his father for both honours and money. Failing in his quest to be raised to a Dukedom he threatened suicide, and was instead made the 1st Earl of Munster in 1831, an honour with which he was still not content. His relationship with his father deteriorated dramatically after William became king in 1830 and they never fully reconciled. On the evening of 20 March 1842, following a day in which he was observed to be ‘bodily and mentally, very low’, George FitzClarence shot himself in the library of his house in London. A report in the Perth Gazette revealed that he had first shot himself through the hand before being found lying on the floor ‘with his face shattered to pieces’. The verdict was suicide whilst in a state of temporary mental derangement. FitzClarence’s discontent combined with increasing mental instability, proved to be his end. FitzClarence left no traceable will and his estate, including his library, passed to his wife Mary (née Wyndham), and thereafter to his eldest son William, the 2nd Earl of Munster. In April 1843, a portion of the estate was sold and the British Museum acquired this manuscript via a London bookseller, Thomas Rodd the Younger. The description in the British Library’s Register probably refers to the sale of his son William’s estate. Still, there can be no doubt, given the subject matter and the elder FitzClarence’s interests, that it was the first Earl who acquired the manuscript. It cost the British Museum fourteen shillings, which equates to around one hundred pounds in today’s money. Today, the manuscript is considered to be significantly more valuable in terms of its rarity and historical importance. However, such provenance is extraordinary, and it is perhaps a sad irony that a dedicated collector of manuscripts relating to the art of war should himself have chosen such a violent death.